Pet Bats For Sale | Thinking about buying a pet bat? Then you need to read this first. Someone takes you captive, you don’t know why. You don’t speak their language and you are powerless to escape. You have no idea what they want of you, and you are terrified. Your captor locks you into a bathroom. This bathroom has a window covered with a shade, but you are not allowed to open it to get fresh air, or even look outside. There is a sink, but only your captor knows how to turn the water on. There is a toilet where you can eliminate, but only your captor decides when it should be flushed. You get the same thing to eat day after day after day after day. When you don’t feel good no one knows how to help, so you suffer in pain. There are no pictures on the walls, no TV, no computer, no phones, and no friends. You have absolutely nothing whatsoever to help you pass the endless days and nights. If you are lucky you might have a companion, but otherwise you are completely alone, and this is where you will spend every single day for the rest of your natural life. This is what a bat feels when we take it into captivity. It has lost all control of its world. As captors, we control everything about that animals’ daily life. What it eats, when it gets fresh water, when its cage is cleaned, whether or not it gets fresh air, has companions, and whether or not it has enrichment to brighten its caged life. Having a pet bat might make you feel cool, but people who know better (and most of them do) feel that it is a horrible cruelty and they cringe when they see people keeping a wild animal as a pet. Aside from that, the act of keeping a bat as a pet will cause it to experience terror, inappropriate and damaging nutrition and terrible loneliness and boredom. Additionally, bats are protected by law at many levels. Regulations govern the taking of bats from the wild, and the transfer of bats is carefully regulated by the state and federal governments. USDA permits from the Animal Health Inspection Service are often required, special permitting regulations can apply at the state level, and interstate laws prohibit transport of these animals without special authority. If you truly love bats and would like to get involved in helping them, please consider becoming a wildlife rehabilitator. 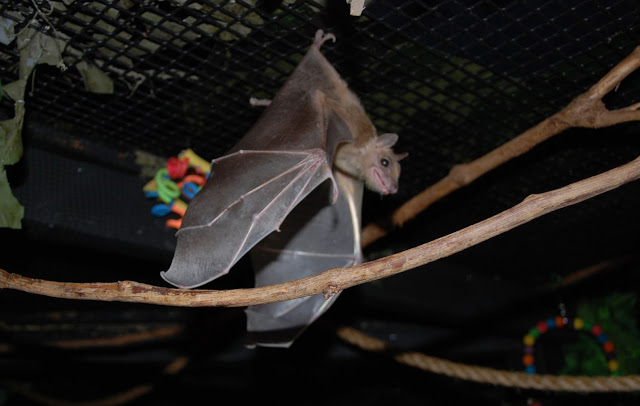 Bat World Sanctuary offers information free of charge on their Bat Rehabilitation page. There are also wildlife rescue centers in almost every state that give classes and offer volunteer opportunities in wildlife rehabilitation. Contact your state department of wildlife for more information. Please note: If you already have a “pet bat” and want to better its life by placing it into a sanctuary, please contact Bat World at sanctuary@batworld.org. They will be happy to help, no questions asked. I have found a baby bat on a farm in my kitchen. I am feeding him, bit need a home for him. I am also scared of rabies. What are the laws In the UK regarding this? I’ve befriended two in the back garden but worry I may have been a detriment to them. I really like them though and I need factual information. Please help. I am looking into getting bats and breeding them and have been reading a lot about it, they are a huge passion of mine. Is that not a kind thing I would be doing? I in no way want to put any bats in harms way. If not, where is the safest way to get them? Hi Kelsey – There is no way to keep and breed bats without harming them. If you want to help bats you should consider volunteering at a local wildlife rehabilitation center that rescues bats. 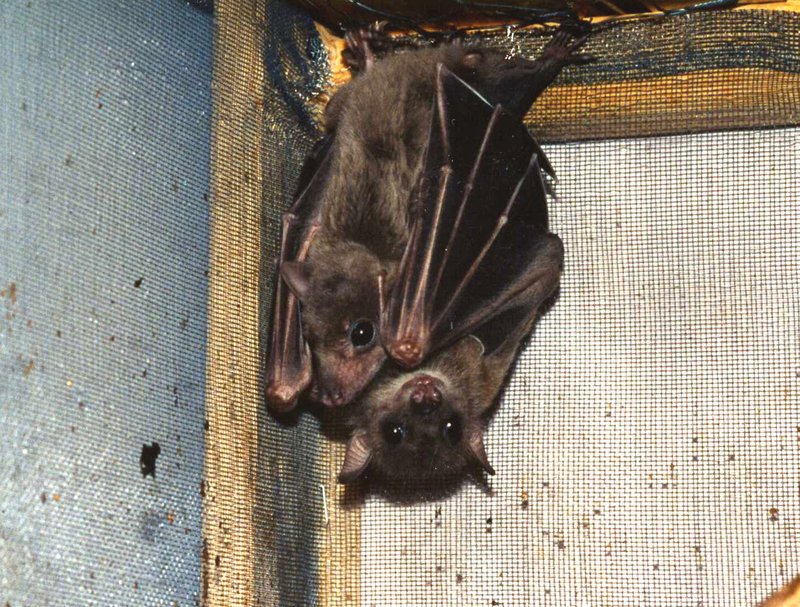 Once you are knowledgeable and experienced you can become permitted with your state and provide rescue for bats in need. No reply, I have a question. We have a small farm in Iowa with a pond and mosquitos. We have bat houses, and on occasion bats have gotten into the house. I love them and have never been frightened by them. My grandpa raised three small bats by feeding them with an eye dropper after their mother was killed. I don’t want to keep bats in the house but I would like to have them come up for dinner and hang out on the porch like ducks have done. Any way to do this? Thanks. Good luck, and thank you for helping bats! There are instructions below the map on how to safely contain the bat until help can be found. You can also email batworld.org from the contact us link at the bottom of the site.